HB Studio offers professional classes in the dramatic arts for committed actors, directors, and playwrights—beginning and experienced—to hone their skills in a community of peers and mentors. In the spirit of our founders, Uta Hagen and Herbert Berghof, we seek to foster an environment where creative freedom prevails and artists are challenged to take their work to the next level. HB offers a progressive sequence of ongoing weekly classes, which meet for 10-week terms four terms a year. Offerings include Acting classes, Voice and Speech classes, Movement classes, Musical Theater classes, Playwriting classes, Directing classes, and acting classes for Young People. Choose one class at a time, or design your own part-time or full-time schedule. Browse classes in the navigation menu to the left (desktop) or above (mobile). AUDITS: HB Studio offers an opportunity for new and existing students to audit any of our full-term (10-week) classes one time per instructor for $20.00 each per audit. Audits allow for students to partake in the observation of the class layout and instructor’s teaching style. To take advantage of this opportunity, please arrive 20-30 minutes before the class to the 3rd floor (Registration Office) of our studio (120 Bank St). Click here for a full list of our classes calendar. HB FACULTY is comprised of practicing theater artists. Browse classes by teacher and learn more. Special seminars and master classes are offered between terms, and a variety of short-term skill-building and professional development workshops are offered throughout the year. For those seeking a full-time training program, The Uta Hagen Institute at HB Studio offers The Hagen Core Training (one-year conservatory) and The Hagen Summer Intensive (6 weeks). Registration for WORKSHOPS is ongoing. Summer Term Registration will open May 1, 2019. Hagen Teacher’s Lab 1 & 2: August 4-9 & 11-16, 2019. The game of make-believe is a crucial game for the artist. For those just starting out or those seeking to reconnect with the basics, Level 1 classes are open to all without audition, placement, or prerequisite. Classes at Levels 2 and 3 build on the foundational skills addressed at Level 1. For those at an advanced level of training and for the professional actor seeking a place to work out, renew, stretch, and explore, we offer ongoing classes at the Studio Practice Level. Level 2, Level 3, and Studio Practice acting classes require audition or placement. Actors interested in intensive, fast-track, full-time training in the dramatic arts are encouraged to apply for the Uta Hagen Institute’s one-year Core Training or 6-week Summer Intensive program. 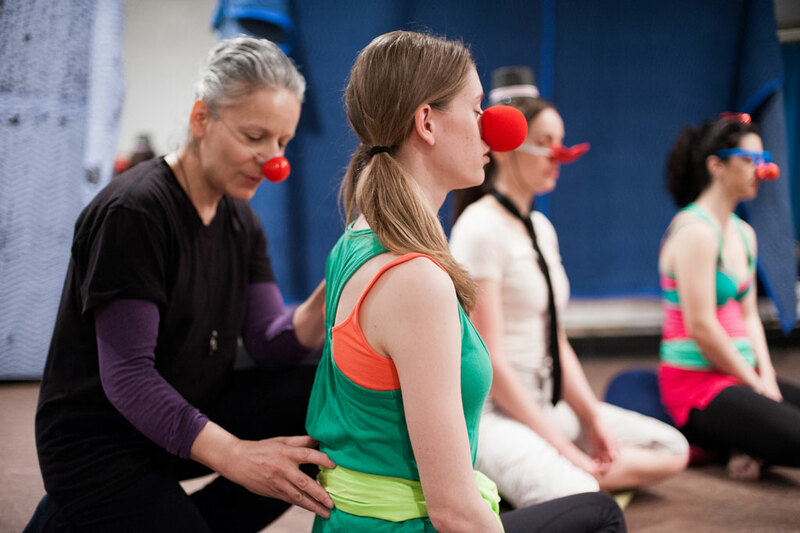 In these programs, you train as an ensemble in a rigorous, integrated sequence of daily classes. HB Studio also offers classes in Playwriting, Directing, and acting classes for kids and teens aged 9 and up. Performance opportunities are extended to advanced actors free of charge through a series of 5-week Performance Labs. The Studio also offers opportunities for playwrights, directors, and actors to collaborate on readings and works-in-progress performance projects.